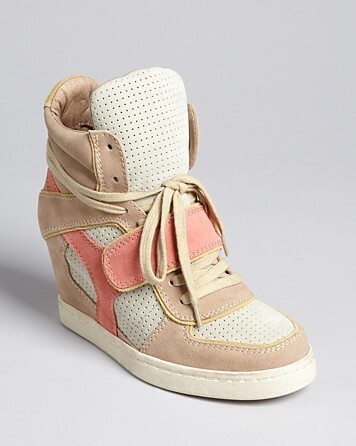 Wedge Sneakers: FUN Trend or FUNny looking? My first thought when I saw that Wedge Sneakers were making a comeback: How could anyone think that putting a platform inside of a shoe that is used for active wear could be “cute” or stylish at all! Am I the only one who instantly thinks of the Spice Girl shoes that were SO IN during the 90’s? After I got over my initial ill-favored reaction (which I want to note took many months) I actually started to see some cute ones and now I’m torn on how I feel about them. I have yet to purchase a pair though, I think they would just go unused and this year I plan to not purchase things that are going to just sit in the closet. 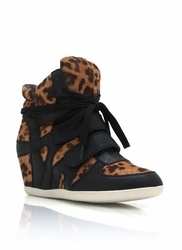 How do you feel about Wedge Sneakers? If you own a pair – what is your favorite type of outfit to pair them with? 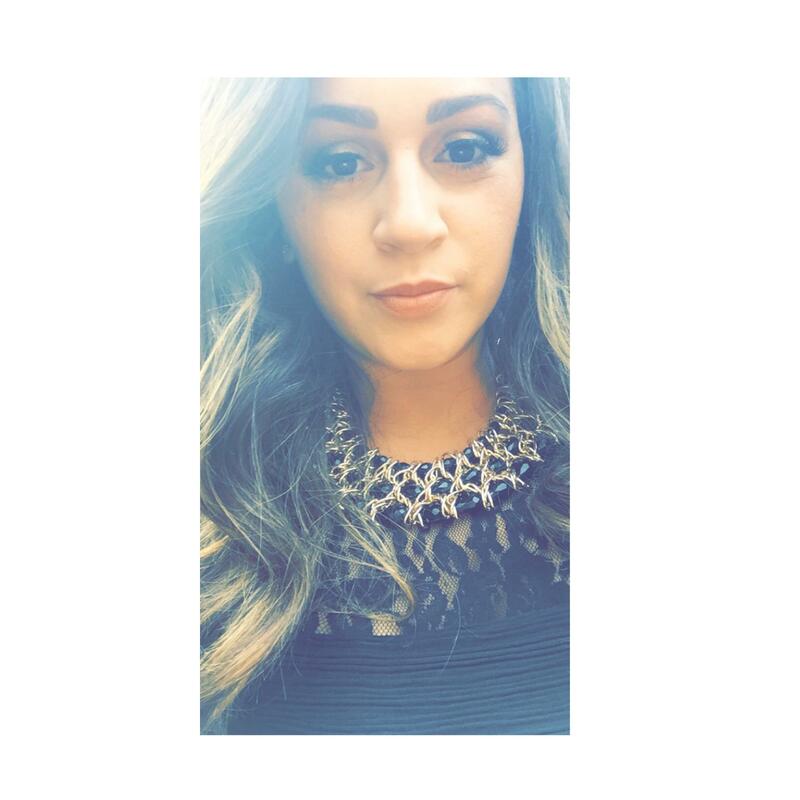 Obsessed with the studded ones! Great pick! 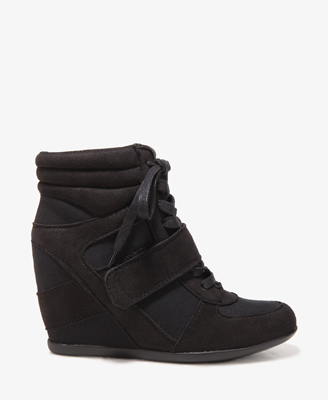 I can never decide when it comes to wedge trainers, however the Jeffrey Campbell ones are amazing! I used to have a pair like the first floral ones you posted, loved wearing them with shorts and a slouchy tee …I like the studded ones though!! 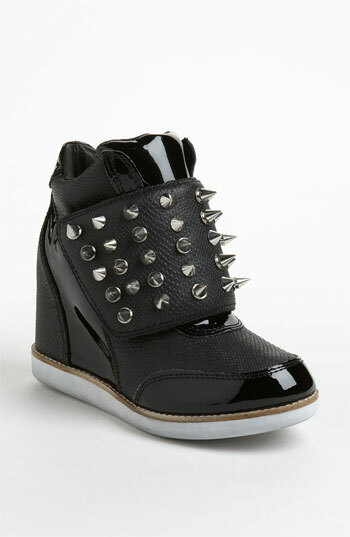 Studs are awesome but like Forever 21 too….so get both since they are so different from each other.